The name Karwar comes from the nearby village, Karwad. The name is further an amalgamation of the Konkani words kade (last) and wado (area). Prior to independence, the name was spelt as Carwar. The place is located in the Uttar Kannada district of Karnataka and just like any other port town, the place is known for agriculture, tourism and manufacture. 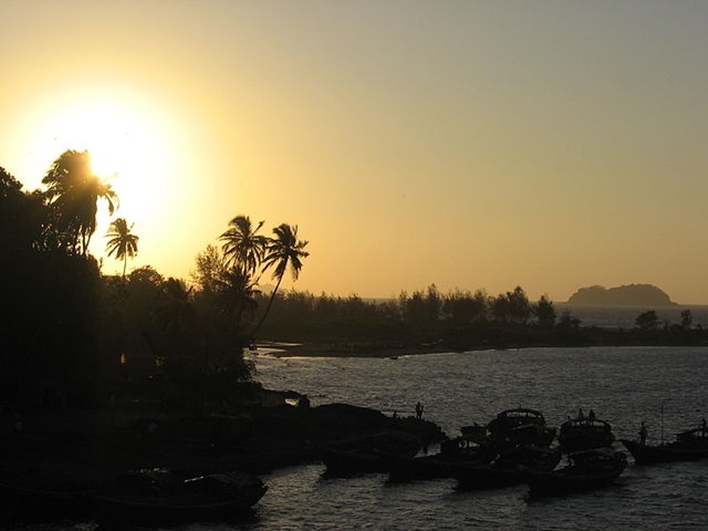 The coastal town lies nearby Goa, at the confluence of the Arabian Sea and River Kali. Karwar has its share of history. While Kot Siveshvar was for safeguarding from the northern attacks and to counter attack, the place was captured by the Portuguese. The East India Company also had its share in the history of Karwar. Later in the 1700s the city was under Maratha rule. In 1862, Karwar became a part of the Bombay Presidency. This fort was built by Raja Sonde (Basavlingaraj, according to some texts) back in 1698. It rests on a 200 feet high hill with the river Kali flowing by its side. The place is known for its enchanting view. The fort was under the rule of Marathas, Portuguese, and British as well. A temple of Goddess Durga lies within the premises. There is also a Dargah in front of it. The single arched gateway at the highest point, where the citadel is located, is indeed a sight worth seeing. There is also a satellite fort named Samvargad (for guiding). The Shejjeswar Temple is of much historic importance. It is 14 kms away from the district of Karwar and is more known as Siddheswar Temple. It is one of the rare (there is a total of five) architecture that is believed to belong to the mythologies of Gokarna. According to beliefs, the Atmalinga captured by Raavan has it parts in this place. 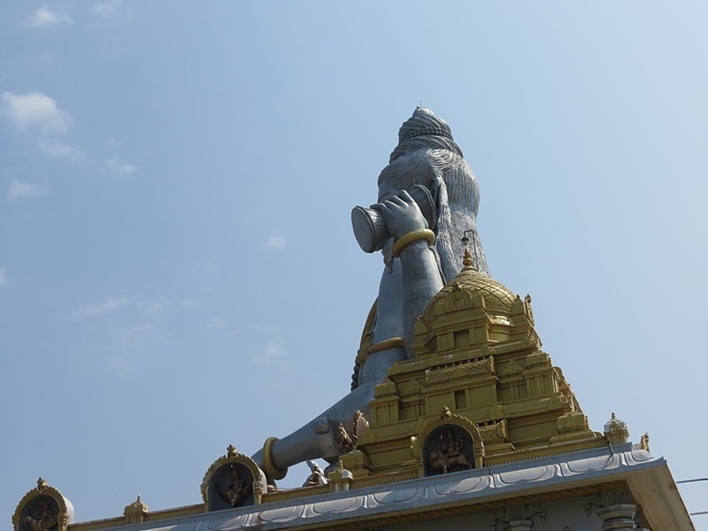 Other temples with relevance to Goakrna mythologies are Gunavanteswar, Murudeswar, Gokarn and Dhareswar. During the auspicious celebration of Maha Shivratri, this temple is crowded by people. This is one of the oldest lighthouses in Karwar. 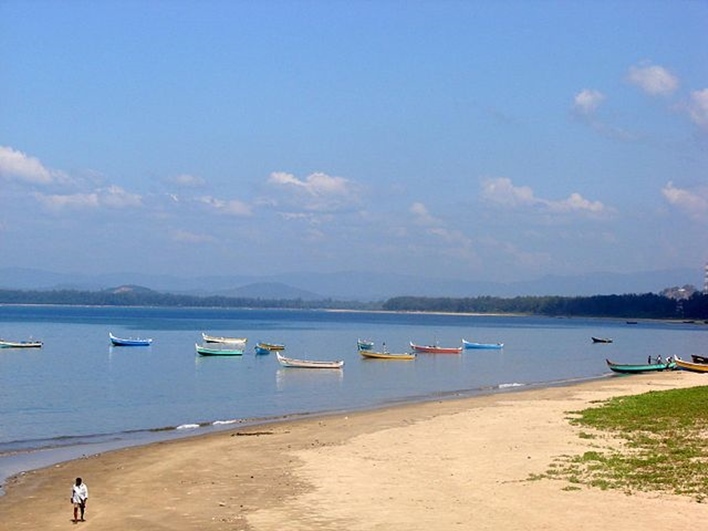 Located in the Oyster Island, this can be reached from the Karwar Port through machine boats. The island is made of small islets, together called Oyster Rocks which is popular for water sports among all the places in Karnataka. The marine life is worth an underwater diving and you will want to come back again to relieve the enticing experience. The popular lighthouse was constructed by the East India Company, back in 1860. Since 25th March 1864, this lighthouse is being populated. There is a dome on the tower top and the lantern can be seen from there. One of the striking features is that the lantern is painted in white rather than the general choice of red or orange. This was one to enhance the effect of sunrise and sunset and make that apparent. Devbagh is a must see for the beach lover. This sea is perfect for surfing with ample sunlight. The place gives a serene feeling and calms one’s senses. For the adventure and sports lover, there are options like speed boat cruises, snorkeling, parasailing and banana boat rides. There is a nearby village for fishermen. There are mangrove bushes as well. This beachside resort is 7 kms away from the Karwar Railway Station and comprises of 6 cottages (sea facing with balconies). Various cuisines along with seafood are served by the restaurant in the garden. The place has recreational options including indoor and outdoor sports and games. The island is noted for its enthralling and untouched beauty. It is a remote area that is located 4 kms towards the Arabian Sea. It can be reached with 20 minutes ride in a motorboat. There are ruins of an ancient fort that hints towards the history of the place. One can live in bamboo cottages or tents to enjoy beach life. Sports and adventure options include swimming, bonfires, fishing, dolphin spotting, aqua sports, boat rides and others. Karwar is well connected with cities like Bangalore, Mangalore, Hubli and others like Chennai and Delhi. One can take Air India Express to reach Mangalore from Bangalore and then Karwar. There is no direct flight from Bangalore. However, it can be reached from Dabolim, the nearest airport that is well-connected with the major cities in Karnataka as well as in India. Karwar can be reached from the major cities of Karnataka through the Konkan railway. It enjoys being a major station on the railway route and has a number of trains that stop there. There are many direct buses that will take you from Bengaluru (526 kms), Mangalore (272 .4 kms) and other cities like Hubli (169 kms) or Belgaum (177.4 kms) to Karwar.